The library discovered a hidden treasure today! 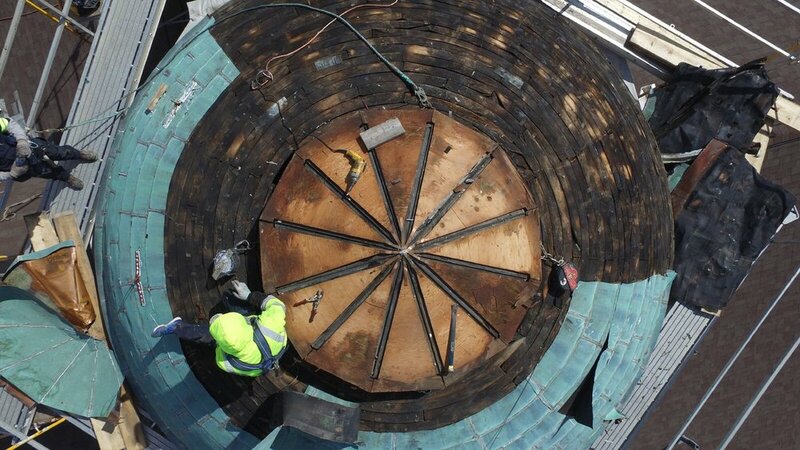 As they worked on the dome to begin replacing the copper, it was found that it originally had stained glass at the top. 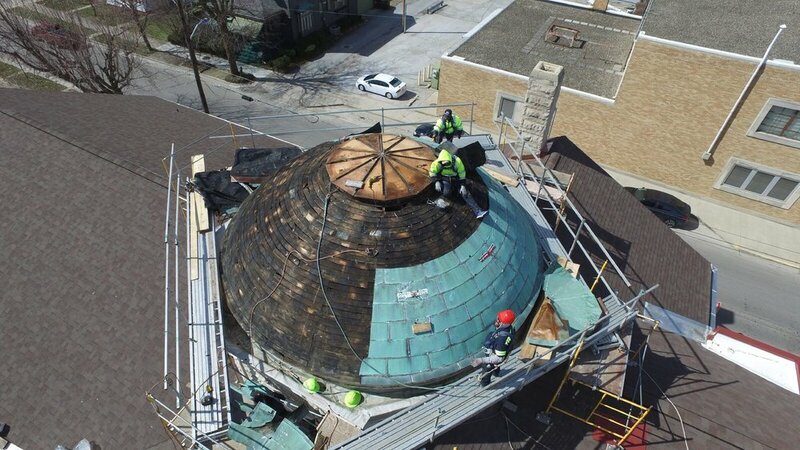 As the wood is removed, more pictures will be taken. We are not sure why it was covered decades ago. Staff have never seen a picture of it but are extremely excited about this find!